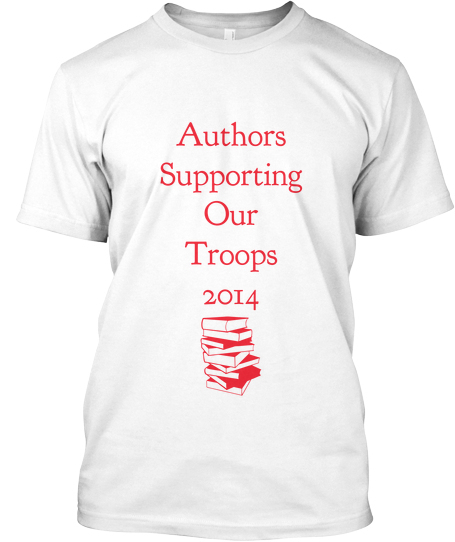 Several months ago, I got a chance to interview Armand Rosamilia for his group Authors Supporting Our Troops. He invited authors to donate books that he would be shipped overseas to American solider serving in Kuwait and Afghanistan. Rosamilia received an overwhelming amount of books – more than 1,000 – and shipped them off. Recently, Rosamilia began posting pictures of troop members with the books. There are other similar programs to support reading among the troops such as OperationPaperback.org and ebooksfortroops.org. To learn more about the program, click here to check out the Facebook page.